Ranjha Ranjha Kardi Episode 4 Review: Impressive & Engaging - Pakistani drama Hum TV. The Episode starts with the Bhola's character blend with an introduction of his Cousin Sister. He then goes to drop his Sister for College. On the other side Sahir Comes to know about the Noori's Background, and Tells her that their relationship will not be accepted by his mother and the society also. One Comes to know that the Character Sahir Also loves her, but due to the Society Factor, he keeps on the distance from Noori. Noori on hearing all this reality gets into a shock for a bit. Meanwhile Shoka discusses the proposal for Noori with her father, by showing off his Richness, and Soon Her father gets into the wanted situation by the Shoka. Later on her father discuss this proposal with her mother, She resists initially, but after hearing of One Lac Rupees, She kind of accepts the offer and Says that She will talk to Noori. Bhola robs his mothers Bangles and gives them to his one and only Mumtaz Begum. His mother waits for his since five days, When the Festival of Eid Comes in there, and We see the entry of Kashif Mehmood in this serial also. The over all acting is very impressive of this Pakistani Drama Hum TV's (Ranjha Ranjha Kardi). The story in expanding after every episode which is Engaging the Audience. 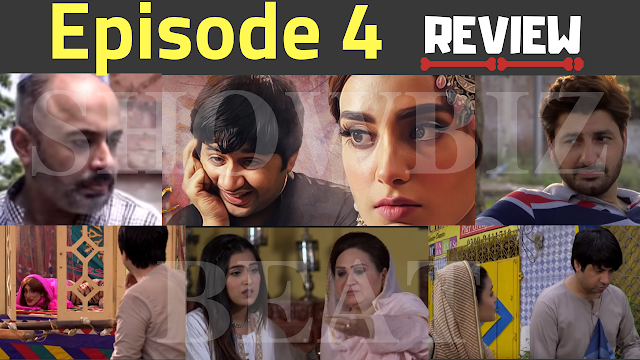 The Serial is a big Hit by Hum Television, as it has already reached the heights of Popularity.